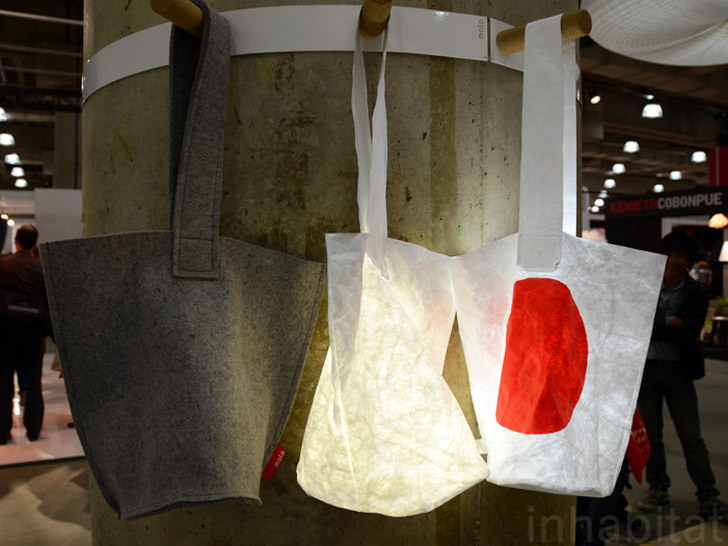 Part bag, part LED lantern, the “Hobo” by Molo is a portable luminary that popped up at the International Contemporary Fashion Fair over the weekend. Inspired by urban nightlife in Milan, the carryall’s translucent fibers allow the energy-efficient light source to filter through, whether it’s plugged in or powered by batteries. You can also purchase the “Heartfelt Lantern for Japan,” a special-edition lamp that supports Architecture for Humanity’s reconstruction efforts in Japan. Part bag, part LED lantern, the "Hobo" by Molo is a portable luminary that popped up at the International Contemporary Fashion Fair over the weekend. Inspired by urban nightlife in Milan, the carryall's translucent fibers allow the energy-efficient light source to filter through, whether it's plugged in or powered by batteries. You can also purchase the "Heartfelt Lantern for Japan," a special-edition lamp that supports Architecture for Humanity's reconstruction efforts in Japan.